Isn’t it astonishing to rest in a modern, self-catering bungalow just beside the sea? Villaggio Club Miramare offers such well-equipped bungalows to the tourists who prefer to admire the beauty of ocean in their own unique way. There are 2 swimming pools and a private beach, and each bungalow comes with a private kitchen and terrace. You can reach the rocky beach of Miramare easily from the resort. If you don’t want to travel, you can just rest and enjoy the greenery that this resort is immersed with. Create a flawless plan, make use of Torre Melissa trip planner. 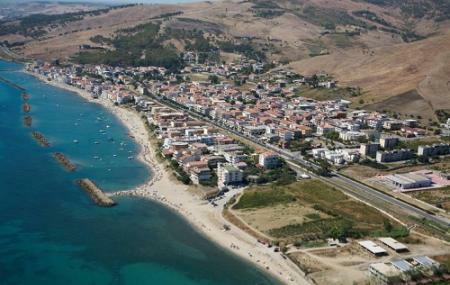 Book perfect hotels in Torre Melissa like B&b MatinÃÃƒÂ¨e, Hotel Miramare, Hotel Melissa and Hotel Dolce Stella. Generate executable plans on your own or book the top rated Torre Melissa vacation packages for your visit. Read more on how to reach Torre Melissa. Love this? Explore the entire list of places to visit in Torre Melissa before you plan your trip. Fancy a good night's sleep after a tiring day? Check out where to stay in Torre Melissa and book an accommodation of your choice. Location accogliente, personale cortese cibo ottimo pizza superlativa.